“No More Printing Expense” is our motto for grocery stores! Use The Howard Company digital displays and software to promote ever changing weekly specials - make managing your deli or in-store restaurant campaigns a breeze. 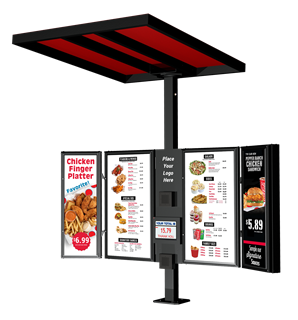 Additionally, combining digital displays with our traditional menu board options give your dine-in shoppers visually appealing representations of your menu offerings. Shoppers enjoy seeing your promotions in the latest visual format. Use digital displays to promote your "ready to go" food items, advertise your in-house brands, promote new products, cross-sell to other departments and much more. Remember, shoppers make 70% of their buying decisions in the store! Stumped on how to create a digital display for your store? The Howard Company has a team of designers who can help make the most of your digital displays. We offer software training as part of our sales package, and can schedule times that work for you for additional training or to solve any issue which may occur. In addition, our in-house designers can create colorful aisle markers to guide shoppers through your store, and we can work with you to craft P.O.P. materials that work for you. 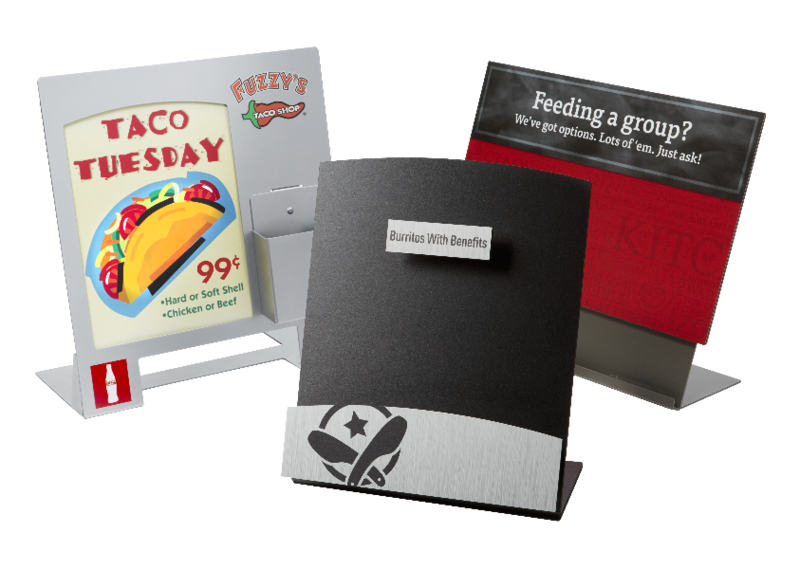 View our photo gallery below for some examples of what we can create for your store! Product categories that serve grocery stores. Keep customers engaged with well-designed branding and messaging throughout the store. 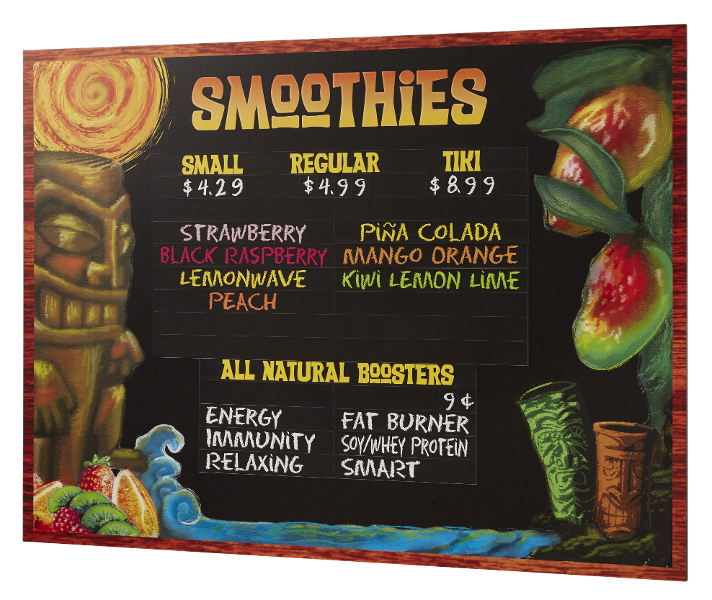 Choose what best suits your business with our indoor menu boards. 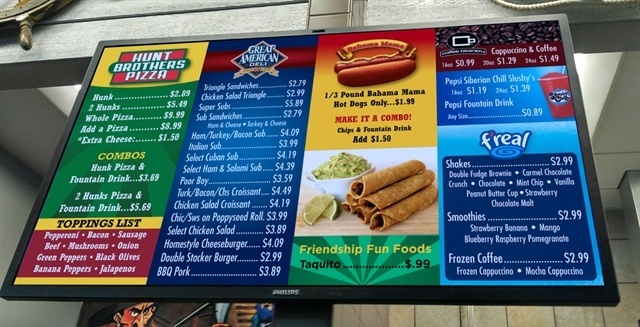 We offer digital, illuminated and magnetic options. Let our expert design team bring your brand to life.